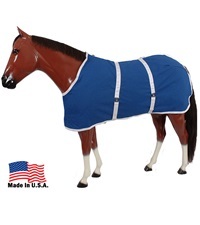 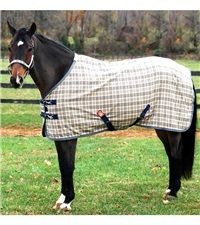 Curvon Dry Serge Stable Sheet - Jacks Inc.
Curvon Dry Serge Stable Sheet is made of 100% polyester. 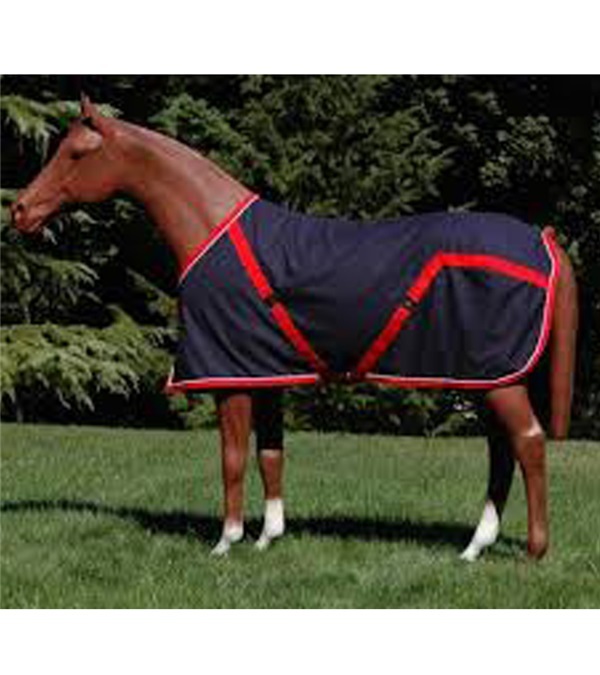 Made to the same high standards as the Baker® Blanket, the Curvon Dry Serge Stable Sheet is one of the more versatile items likely to be found in someone's tack trunk. 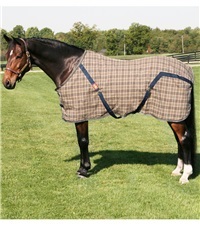 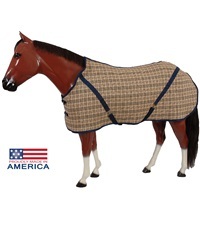 In some of the warmest climates, one of these sheets, often called a night sheet, is all the horse clothing a horse may require throughout the year. 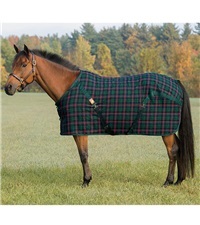 In most areas however, they are used while trailering, after a bath, or as evening attire on cool nights. Often, in cooler climates, they can be used in conjunction with blankets for optimal comfort.